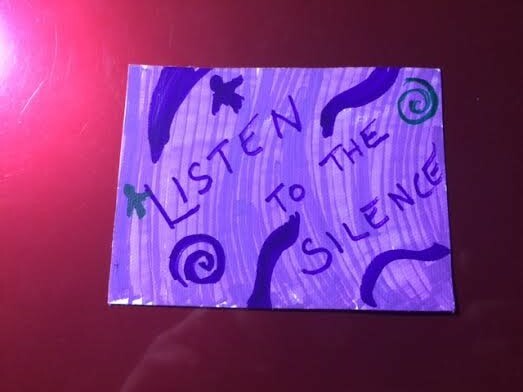 Listen to the Silence. . . . When I was around five years old, my father used to gently place his hands over my ears and lovingly squeeze my ears/head. As he did that, he would say, ‘listen to the silence’. As he did a flood of warmth and a feeling of calmness washed over me. This loving act continued into my teen years and beyond; I think he found a way to slip it into each meeting even after I moved away from home. After I had sons, my father continued this tradition by gently holding his grandsons head the same way – sometimes to calm them and sometimes just to make them calm. Once I saw my father do it to his grandsons, I followed the lead and also held Aryeh and Dovi the same way. Each and every time I did, my children’s faces would light up with a smile that could melt whoever was looking at them. Over the last few days, I have found myself craving that sensation, not only the physical touch, but the silence that followed it. There is so much noise occurring within me, around me, and everywhere in the world. At the moment, there seems to be a shortage of quiet. My mind has never been one for shutting down. For some reason, I am always thinking. Whether it is about myself, my family, the world, Israel, human rights, human trafficking, my loved one’s challenges, or the never-ending list of possibilities. My thoughts are part of who I am and yet, I know I need to find a way to stop and listen to the silence. Many years ago, I read the space between the notes is as important as the notes themselves. The same can be said for the space between the words. The time has come for me to allow for a little more space in my life. My body and my mind is craving silence, down time, and time to myself. What does silence look like for me? I think it means taking time for me to go inward. Listening to my physical and emotional needs and then doing things which nurture and nourish those needs. With that in mind, I am actively going to be making time for me to write more, work on some art/craft projects, chant, and drum. Lately, I have noticed that I am engaging less on social media and choosing to ‘pick my battles’ when I do. I am doing my best to live consciously and to consider the myriad of challenges that face the world, but I am not hyper focusing – I am remaining aware and allowing for the quiet to go where it needs to go. While I want to be ‘the change I wish to see in the world’, I am taking Gandhi’s wisdom down a notch so that I can go a little more insular for now. My guess is that something huge will emerge when the time is right. I can’t wait to see what that will be – only time will tell. What I do know is that I need to take time to listen to the silence. I need to go inward and explore my heart, my mind, and my soul. I need to allow my rhythm to take me where I need to go. My father may not be here to hold me or to squeeze my ears, but what he gave me all those years ago was the awareness, that sometimes the sweetest silence comes from being held close. . .the only difference is that I need to do it all by myself. Today, I know that I need to hold myself and trust that when I do, I will be loving myself and keeping me safe. My father, of blessed memory, gave me the most important gift in the world; he taught me how to listen to the silence. Before Passover, I had an idea. I wanted to write my Omer Reflections exactly as I am doing and I wanted to include one of my own drawings to emphasize each middah (character trait). While the idea was vivid in my head and I had already drawn a few simple illustration, I just didn’t have the courage to follow through with creating my drawings as part of my Omer Reflections practice. I simply lost the courage. 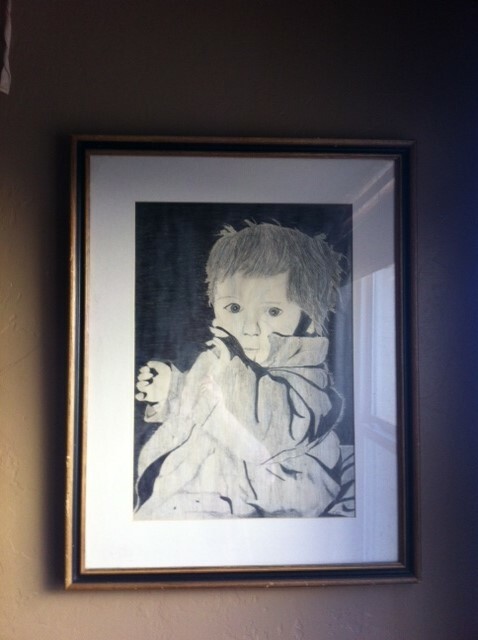 Sharing my little drawings made me feel vulenrable, almost like I would be standing unclothed in front of an audience. I couldn’t do that; I couldn’t leave myself wide open in that way. As a regular blogger, a teacher/community leader, and an occasional storyteller, I am often in front of people with a goal of presenting an idea or a story. 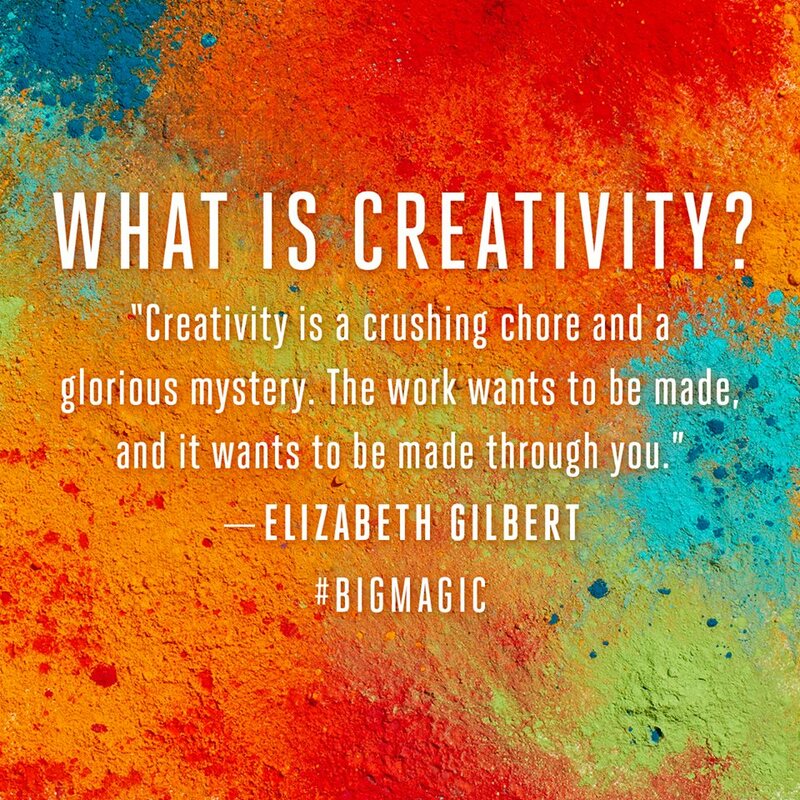 I love to share my words, but I am beginning to realize that I have done a disservice to myself by not pushing myself to be creative in a way that might entail going a little outside of my comfort zone. May I have a little more faith in my abilities to step outside my comfort zone, create, and then share my creations. Intense pain. Abandonment. Loneliness. Violence. At those moments, breathing hurts. And then comes the blessing. . . Inner peace. Survival. Transformation. Thriving. At these moments, I surge with gratitude. My world didn’t collapse in despair. Sometimes the collision between memories and healing takes my breath away; sometimes I want to weep intensely and acknowledge the tortuous darkness. And sometimes I want to forget. And still other times, I want to soar and scream out from the mountains that I am a live. I am pure and full of life. No one shattered my spirit; no one drop-kicked me down into the valley, succeeding in my demise. I am a vibrant being. When the memories bubble up, I struggle. How could I not? Reaching into my soul I have to find the strength to keep moving forward and more importantly to thrive. What I have come to know over the years is that once I acknowledge the very real feelings and sensations around my childhood memories, I can move through them much easier. When I hold them in I sink into a sadness that penetrates the deepest part of my soul. Last month, I faced some new demons. The person who teased me relentlessly about coffee had no idea initially how crippling his words were; he probably still has no real idea. When I allow myself the room to remember, I can still smell how my mother tormented with coffee grinds among other things. The beautiful reality is that the memory has now stayed with me for a few weeks, but it hasn’t devastated me. When you are a victim of both domestic violence and other violence, the realizations might return sometimes frequently and sometimes very infrequently. What I have come to learn is that I can decide how I will meet the memory at the door. Mostly, I embrace the memory and try to get to know it and then I release it out of my life. To move through the difficult memories I write, I draw, work with my hands, I cry, I walk, I chant, and sometimes I share my stories. The key to moving forward is consciously choosing to walk through the pain and into the beauty that surrounds me today. This year, I am birthing a non-profit organization called, My Second Foundation. My Second Foundation will utilize alternative and traditional forms of healing and transformation for adults that have experienced childhood trauma. With the help of many professionals, participants will create their own toolbox for healing and transformation. My plan is to launch this organization over the summer with my first mini-retreat. For me, life has been a gift, but this realization would not be possible if it weren’t for utilizing writing, drawing, movement, chanting, etc. in my toolbox for healing and transformation. Walking through the many journeys of life is what I do. May we all be blessed to create a toolbox that can accompany this very long trek. 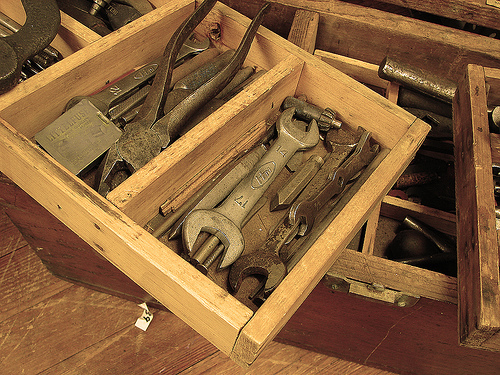 These tools are good for living; all of us can emerge from challenging moments by building our own toolbox. Shadows are possible because of the light that surrounds an area where there is an obstruction. So the goal that I have for myself as I walk is to remember to stay out of my way as I walk into the light. May the same be true for all of us!